I am considering replacing my Chevy Traverse with a 2017 Ford Explorer. I am concerned with 2 things:1) smaller interior size of Explorer, and 2) reliability of Ford Explorer. Any information on either of these concerns will be appreciated. 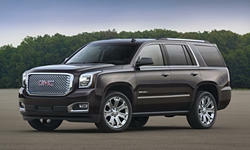 Any suggestions for a similarly priced SUV? My husband is 6'4, I have 2 teenage sons and one teenage daughter. 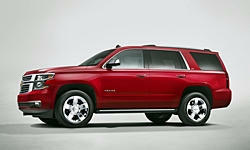 I'd go with a 2015 Tahoe with but with 30,000 miles at your $35,000 target on cars.com. It'll have an inch or more interior room over the Explorer and get similar or better gas mileage as the Ecoboost V6. Plus they are proven to go over 300,000 miles with regular maintence. If you really need and the interior space, it limits your choices. 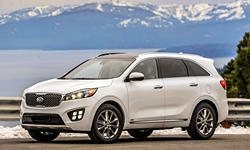 But if you want to spend $35,000 and get a lot the money and a reliable vehicle, look at the Kia Sorento EX or SX. Some have 5 seats, others 7. 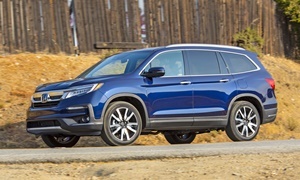 Honda Pilot would be another good reliable choice. 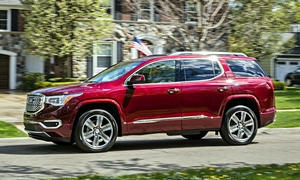 The new GMC Acadia is smaller than before, but otherwise looks promising, and some claim GMC has better reliablility than Chevy. The Kia Sorento is a great choice. I took a trip in a 2016 SX-L and came away shocked at how soft the ride was. It was the PERFECT road trip car. It has a great infotainment system. The Pilot's another good choice, but there are many complaints about the rough shifting 9 speed transmission in the Touring and Elite trims. 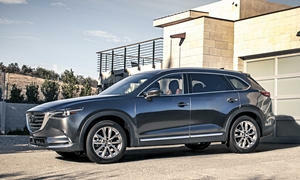 I'd look at the Mazda CX-9, too. 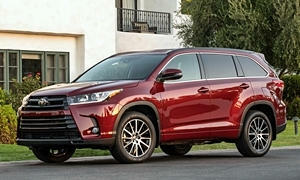 It's the most fun-to-drive 3 row SUV and it looks the best, although that's an opinion. The interior is almost luxury car quality. The Explorer is not a good choice. It's unreliable and it drives bigger than it is. It has one of the most roomy interiors and one of the biggest 3rd rows, but it's showing it's age in the 3 row segment. The 2009-2013 Odyessey/Pilot V6 is covered in a class action law suit over oil consumption. So choose Honda products if you like to play Russian Roulette. The best deal is the n?e Kia with it's bumper-to-bumper warranty for 5/60,000. Kias and Hyundais have 10 year 100,000 mile powertrain and anti-perforation warranties for their new and pre-owned cars. 5 year 60,000 mile basic warranty and roadside assistance. Hyundai and Kia have longer warranties for a reason. It helps to read the fine print. They are sticklers for having proof of maintence records. Under Hyundai's plan as outlined for 2013 models, an owner would have paid up to $275 to help cover the cost of the arbitration proceeding. Before it reversed the policy, Hyundai had said it helped consumers by making it simpler to resolve disputes without the expense of going to court...."
"...For years, dealers have required buyers to agree to binding arbitration as part of a sales contract. 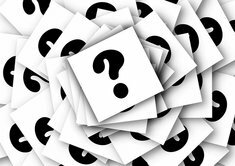 However, a notice directly from the automaker, printed in the owner's manual, is unusual, consumer advocates say..."